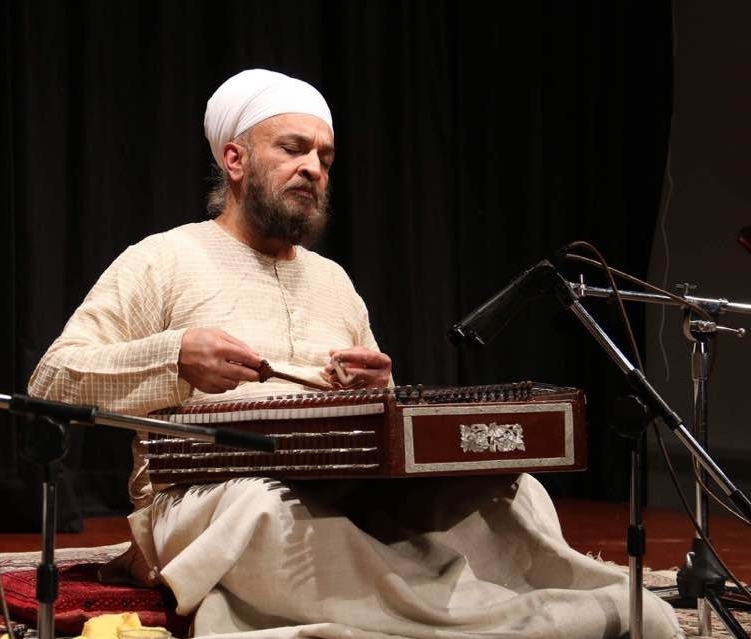 Born in Tanzania and subsequently educated in England, Kiranpal Singh’s first music study was the tabla, which he pursued under the guidance of Shree Ripdhaman Singh of Punjab Gharana from 1970 to 1977. His potential as an artiste of the highest calibre was recognised by His Holiness Sri Sat Guru Jagjit Singh Ji Maharaj, then spiritual guide and leader of the Namdhari Sikhs, on a visit to the UK, and His Holiness bountifully arranged for Kiranpal to be sent to Bombay to study Santoor in the traditional way under Pandit Shiv Kumar Sharma. Indian Classical Music Evenings to celebrate the 5oth Gurgaddi Annivarsary Of Sri Satguru Jagjit Singh Ji. – In 2010 a series of Indian Classical Music evenings were organised by Namdhari Sikh Sangat Southall to celebrate the 5oth Gurgaddi Anniversary Of Sri Satguru Jagjit Singh Ji. The first evening took place on Saturday 13th Feb 2010. Ustaad Dharambir Singh performed a recital on the sitar. The next musical evening was on Saturday 14 August 2010: Santoor maestro Ustad Kiranpal Singh and tabla genius Pandit Sanju Sahai played to a packed congregation. The evening began with kirtan performed by Ustad Harbhajan Singh. He was accompanied by Ustad Gurdev Singh, Raagi Jagir Singh and New York youngster Rohan. Sarabjit Singh was on the tabla. In the santoor and tabla performance, Raag Puriya Dhanashri was on offering. Both artists exhibited the skills and command which makes them leading artists of classical music in the UK. The performance was well received and appreciated, leaving the sangat & musicians surprised at the standard attainable in this country. 15 Dec 2012: In memory of Sri Satguru Jagjit Singh Ji. Performance by Ustad Kiranpal Singh & Madhan Oak (with Saleel Tambe -tabla).